I’m very excited to have a recipe to share with you today, from the brand new English translation of Bakeland: Nordic Treats Inspired by Nature, by Marit Hovland. When Greystone Books got in touch and very kindly offered me a review copy, I jumped at the chance to check this book out. Bakeland was originally published in Marit’s native Norwegian, and it’s a book I spotted on the shelves of my local bookstores while living in Norway. I’m thrilled that the English translation will make this book accessible to a much wider audience, because I find it to be a rather unique book among the many baking books out there. One glimpse at the Instagram account (@borrowmyeyes) or the website (borrowmyeyes.com) of Marit Hovland will show you what makes Marit unique. She specializes in intricately decorated sweet treats, often inspired by Norwegian nature. This kind of dedicated decoration is something I’ve dabbled in occasionally, but Marit is a master at it and is able to make it accessible to others through clear, easy to follow step-by-step instructions. 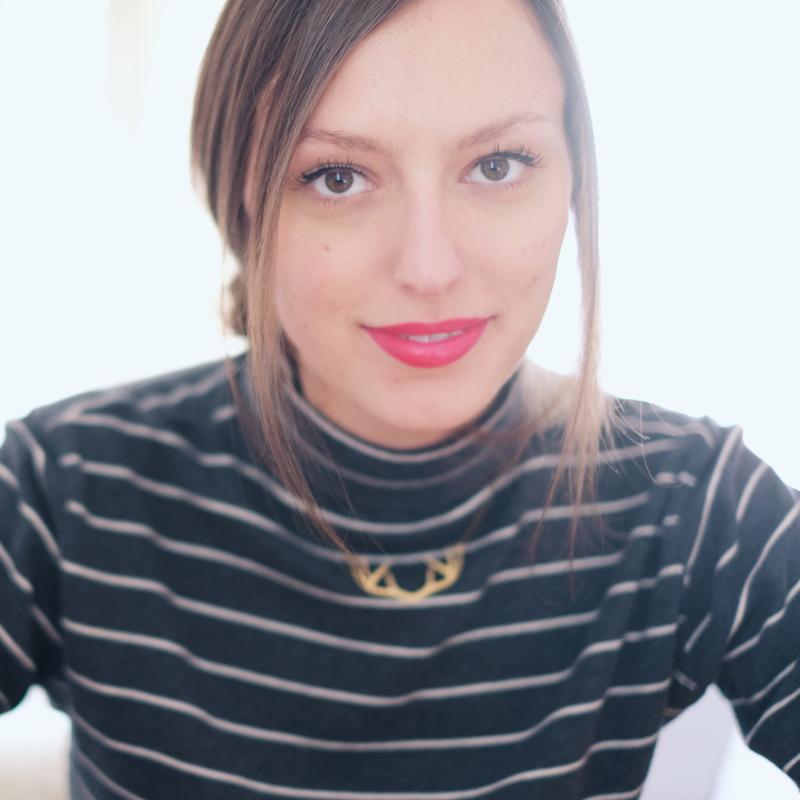 She also has instructions for many non-baking DIY projects on her website, which is a testament to her ability to present the decorating techniques in an approachable way. This unique skill is present throughout Bakeland. 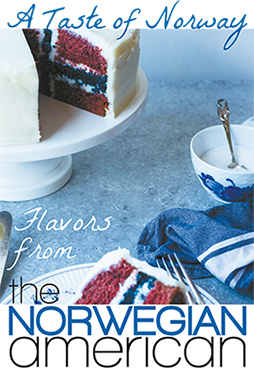 I will say up front that this is not a book of traditional recipes, but rather a very modern baking book with a wide range of sweet treats (that happen to be inspired by Norwegian nature). The recipes in the book are truly inspired by nature, and the various flora to be found around Norway throughout the year. I was very pleased to see that the book was laid out by season, into five sections: winter into spring, spring into summer, summer into fall, fall into winter, and a new year. I think it’s brilliant how the book not only follows the progression of a year, but in focusing on the transitions between seasons, it reminds us of the changeable nature of weather and the fact that it’s a constantly-moving cycle, rather than presenting the seasons as static. The sort of bonus chapter, “a new year,” seems to coincide very nicely with December and January being the darkest months of the year, with a focus on the play of low sunlight and the blue light of blåtimen with sparkling snow. I was surprised how much I missed mørketida, the two months of the year where the sun never rises in Tromsø, my first winter away – there is definitely a sort of magic to the light at that time of year in the north. I could feel the shift from season to season much more keenly in Norway than I do in Montreal, and I miss that too. The chapter of the book that gets me the most excited is summer into fall, which is unsurprisingly full of autumn-themed recipes like cinnamon macarons with apple filling (decorated to look like apples), maple leaf cookies, and spice cake with cinnamon almonds (the almonds having been decorated to look like acorns). In northern Norway this season was incredibly ephemeral, happening in a blip – but perhaps that is why I loved it so much. There are a few other sections to the book beyond the recipes, as well. Bakeland features a section on baking tips, and Marit provides step-by-step instructions for techniques like tempering chocolate, making your own muffin liners, or making macarons. A section at the beginning outlines the tools you’ll find useful in making many of these recipes, complete with photos. On a practical level, the recipes are very user friendly, especially since they includes weight and volume measurements in grams and milliliters in addition to the typical cups measurements you’ll find in North America. Having had kitchens in both North America and Europe, I appreciate that they included the weight measurements (which I prefer to use) even for this North American version. I’ve opted to pick a recipe to share with you all from the second chapter of the book, spring into summer, given that it very nicely coincides with this time of year. Since many of the recipes in this book are very involved when it comes to decoration, I wanted to pick something relatively approachable. Some of the recipes in this book are things you’ll want to make sure to practice a few times if you plan to make it for an event like a birthday or another special occasion, particularly when it comes to decorating techniques you may not have used before. I might even go so far as to say that some of it is a bit over the top. But the recipes are also relatively adaptable, and you can get away with mixing up the decorating elements if you’d like. The brownie cake itself is very simple to make – if you’ve ever made brownies from scratch, you can make this cake. Fresh whipped cream creates a lovely light layer on top between the brownie and the fruit topping, and I added some silver and pearl sprinkles for a bit of a festive finish. I think the only sad thing was how quickly this cake was devoured, and I wish it’d been a tiny bit bigger. I did make a few adjustments here and there, including the fact that I used a regular cake pan instead of a springform pan, and so I lined the whole pan with parchment paper instead of just the bottom. I’ll try to make a note of my own adjustments where relevant. But without further ado – the recipe! Perfect bluish-purple bells, hanging from flimsy stems…bluebells are lovely, either down by the lake, high up in the mountains, or on top of a cake. Frosted with fluffy whipped cream and topped with refreshing blueberries, this sweet brownie cake gets a summery lift. The bluebells must be prepared at least a couple of hours before they are to be used. You can make them a day in advance to make sure they’re dry. Follow the instructions below. Preheat the oven to 325ºF (165ºC). Line the bottom of a 9-inch (23 cm) round springform pan with parchment paper. In a saucepan, melt the butter, then remove from the heat. Add the chocolate to the butter and stir until it melts. Let the chocolate mixture cool a little, then transfer it to a mixing bowl. In a separate bowl, using a handheld mixer, beat the eggs and sugar together until pale in color. Pour the egg mixture into the chocolate, stirring gently. Sift in the flour and add the vanilla seeds, then fold in with a rubber spatula. In a bowl, toss the walnuts with 2 tsp of flour, then fold them into the batter. (This will keep them from sinking to the bottom.) Pour the batter into the prepared pan and bake for 30-35 minutes on the middle rack of the oven. Remove and let the cake cool. Keep it in the refrigerator until ready to serve. Prepare the topping just before serving the cake. In a bowl, using a handheld mixer, whip the cream with the sugar until stiff peaks form. Spread the whipped cream on the cake and top with blueberries. Decorate with the candied bluebells. Variation: You can use chocolate liqueur cream instead of whipped cream. Other berries or fruit can replace the blueberries. Go for a walk and pick some bluebells. Put them in water until you’re ready to use them. Cut off the flowers, leaving around 1 inch (2.5 cm) of the stem. Remove the stigma and the pistils inside the bell. With a fork, whisk the egg white with a pinch of salt. Holding the flowers by the stem, paint the inside of each bluebell with the egg white, then the outside. Spoon some sugar into the bluebell before you turn it over and sprinkle sugar on the outside. Shake gently so that only a thin layer of sugar remains on both sides. Attach a small piece of tape to the stem of the flower. Fold the tape over a skewer suspended between two glasses, so the bluebells hang while they dry. You can also place them on parchment paper, with the opening down, but then some of them will lose their lovely shape. The flowers need 2 to 3 hours to dry. You can let them hang overnight. Cut off the stem where it attaches to the flower. Keep the bluebells in an airtight container if you’re not going to use them right away. They can be stored for several months. Selected photos and text from Bakeland: Nordic Treats Inspired by Nature (Greystone Books, 2018) by Marit Hovland. Bakeland is available for purchase through Amazon or other outlets. This past fall, Beatrice Ojakangas published her new memoir, Homemade. Unsurprisingly, it falls into the combined memoir/cookbook genre – one I have enjoyed in the past, though upon reflection I haven’t actually read too many of them (when you find your favorites it can be hard to move past them, you know?). Nonetheless, I was really looking forward to this one when I first heard about it. For those who don’t know, Ojakangas has published an astoshingly diverse array of cookbooks throughout her life, including the one that led me to start this blog: The Great Scandinavian Baking Book. While Homemade is a slim volume, it’s chock full of recipes and stories. It’s written in Ojakangas’s trademark straightforward style, which befits her own life story of growing up on a farm in northern Minnesota. If when you hear “food memoir” you’re expecting something in line with Molly Wizenburg’s A Homemade Life, keep an open mind with this book, which is nothing like that. The book is divided into two halves, which more or less correspond with Ojakangas’s childhood and youth, up through her college years (part 1) and her life after marriage (part 2). The “chapters” are small (many are only 2-3 pages), especially in the first half of the book. While I appreciated the glimpse of a childhood and an upbringing so completely unlike my own provided by part 1, I have to admit I enjoyed part 2 the most – this is the half of the book containing Beatrice’s stories of writing for Sunset Magazine, writing her cookbooks, spending a year in Finland, and meeting and working with both Julia Child and Martha Stewart. She truly has led a fascinating life. Peppered throughout these anecdote-like chapters are, of course, recipes. They are definitely not purely Nordic, but again, the diversity of recipes is a strength. I flagged a few as I read that I wanted to try out, and the publisher has very kindly agreed to let me share my favorite here: almond cardamom scones. These are easy-peasy drop scones, and the secret to really getting these right is using freshly ground cardamom. Grinding the cardamom seeds is the most labor intensive part, but the fragrance and the aroma just can’t be matched by the pre-ground stuff. You’ll find the recipe below. Preheat the oven to 400ºF (205ºC). Lightly grease a large cookie sheet or cover with parchment paper. Combine flour, baking powder, cardamom, sugar, and almonds in a large bowl. Grate the frozen butter onto the flour mixture. Using an ice cream scoop, place in mounds of dough on the cookie sheet, about 3 inches apart. Sprinkle tops with the sugar. Bake 8 to 10 minutes until light brown. Cool on a wire rack. Serve warm. Recipe excerpted with kind permission from Homemade: Finnish Rye, Feed Sack Fashion, and Other Simple Ingredients from My Life in Food by Beatrice Ojakangas.